I take a lot of pictures, in fact, after reviewing the Picture Keeper–I discovered I have over 18, 000 pictures in one computer alone. That’s not including my laptop, tablet or smartphone. By taking pictures, we capture life’s unforgettable moments, achievements, growth, beautiful landscapes, experiences and so much more. For me, this is priceless, it can’t be replaced if lost. Of course, we always have those memories but, losing them would be a monumental loss. Two years ago, I began to experience the blue screen of death on my computer. I didn’t have a form of back-up on my PC, simply because I never got around to it. Well, I managed to get as many pictures I could before my hard drive crashed. But, losing a huge chunk of pictures was inevitable and it did happen. It was such a blow, I managed to recover a lot of those lost pictures through my social media and blog but, otherwise. They are gone. I held onto the hard drive to bring to my local computer store so that they can try to recover any files from the hard drive. This is a small device that fits in the palm of your hand. 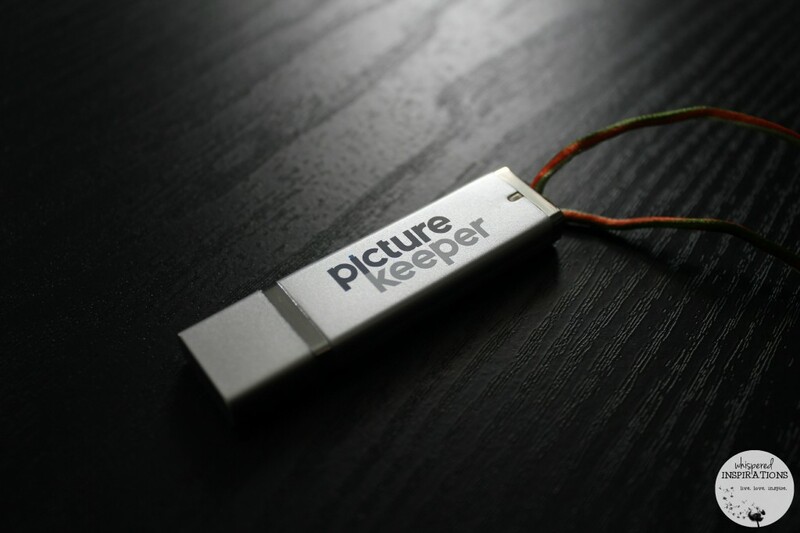 One that will protect your pictures and store them safely. They come in various sizes and have different storage capabilities depending on the size of your pictures. 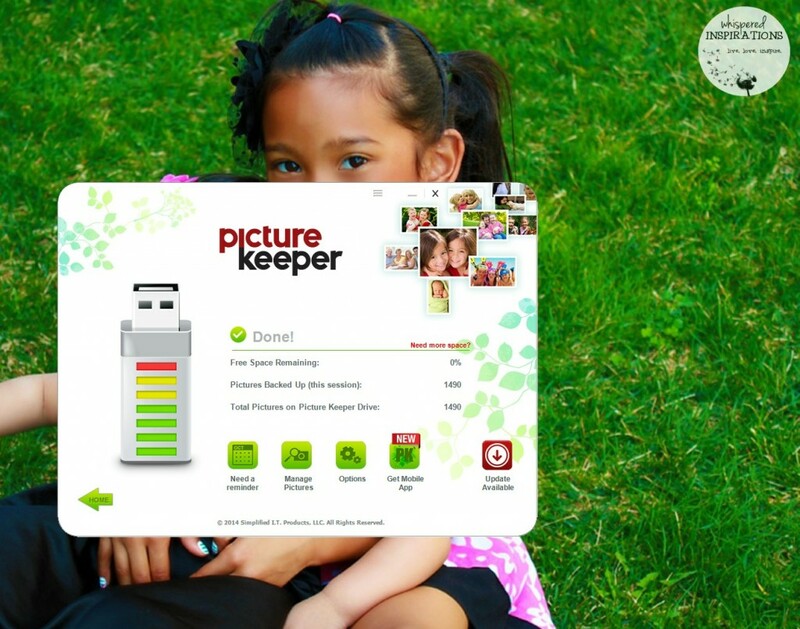 A device that can quickly scan, store and protect your pictures for safekeeping. Easily use with your digital photo frame, favorite print kiosk or keep in a fire-proof safe. Simple. Easy. Ready to GO. What I loved the most was how simple it was to use. There’s nothing to install, no fuss, nothing. I took the Picture Keeper, plugged it in and just hit ‘START BACKUP’ and off it went. It scanned all of the pictures on my computer, skipped duplicates and I was even able to work while it did it and it didn’t lag my PC. Pictured above, you can see the step by step on my desktop. Another cool thing about Picture Keeper is that they have a mobile app. 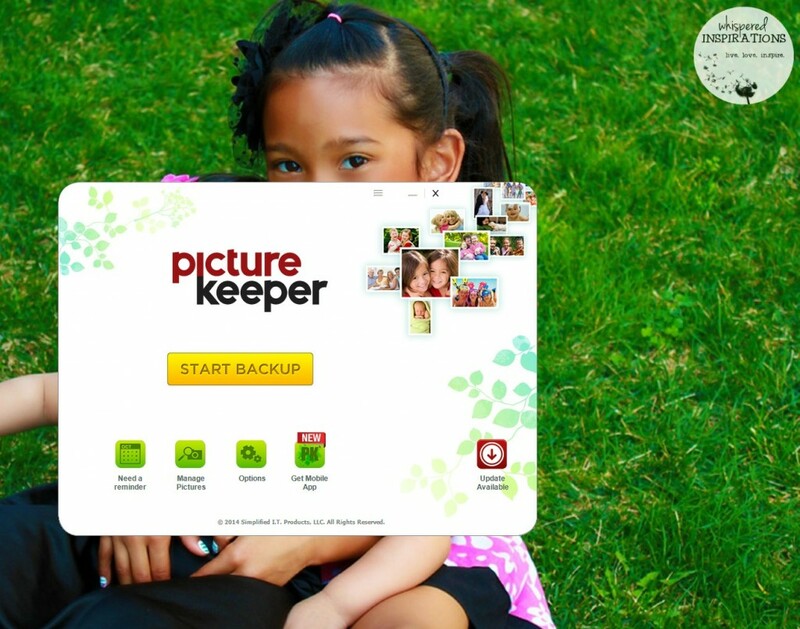 The Picture Keeper Mobile app for iPhone, iPad and Android provides a simple, easy way to wirelessly backup the photos on your mobile device to your computer. 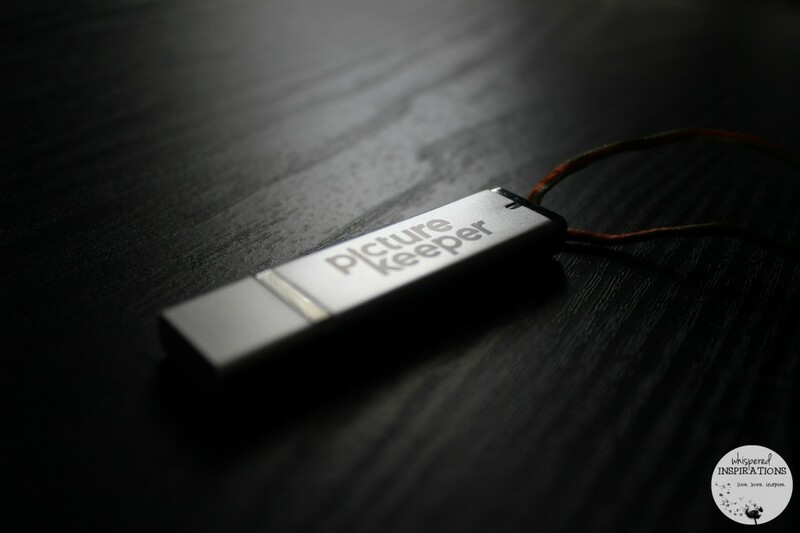 The PK app is the perfect companion to your Picture Keeper USB drive or can be used alone to ensure your mobile photos are never left to chance. I think that is a great tool, especially in those moments when time isn’t on your side and your PC may be going and you need an easy and quick way to back-up those precious moments. The only downside is that if you take very large pictures like I do, it minimizes the space available in the drive. That’s understandable though, so if you take larger photos, you may want to consider the PK PRO or resize your pictures. A PK4 Up for Grabs! 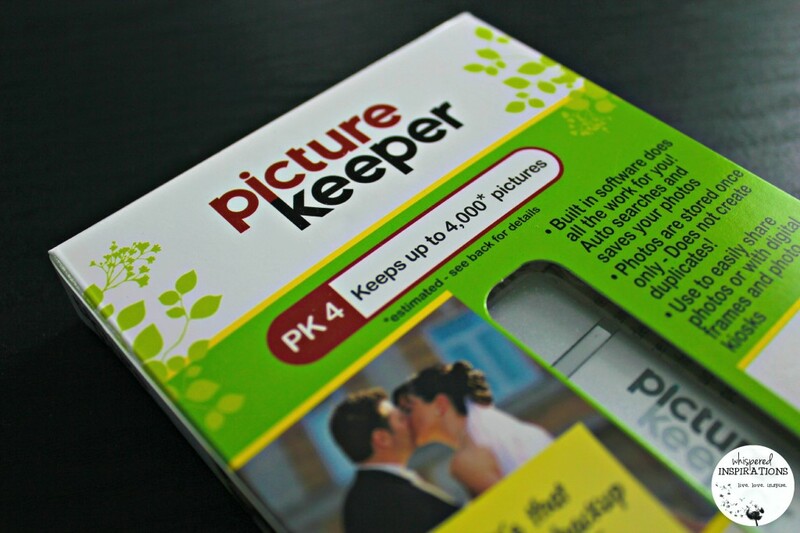 One lucky winner will win a PK4 to store and capture all of their precious pictures and memories. This contest is open to the US/CAN and opens on February 26th, 2014 and ends on March 13th, 2014. Don’t leave your pictures to chance, it’s devastating when you lose it all. I know that I take EVERY precaution to save my pictures and back them up as much as I can so that I never have to worry or suffer that loss. For more information, check out Picture Keeper on Facebook, here. Follow @PictureKeeper on Twitter for the latest updates as well. How much space do you think you would need to store your pictures? I'd need a PK Pro – yes, we do have a lot of pictures! I think I'd need the PRO! I have 3,000 pics on my phone right now, just from September. Yes, I have a problem. That does sound handy. Great way to keep them safe. I SO need this, my desktop is filled with thousands of pictures and unfortunately I got a virus and lost some of them. OH NO. Man, that is awful. This is so fast and easy, seriously! I need to investigate this further because I think it will be an ideal solution for me. The PK Pro is probably what I'd start with. That is what I would need. I totally need to do thi I just never find the time to do it all. Great post! Thanks! Do it as soon as you can. I did not do it and lost a lot. I would need the PK16, but ultimately would like the PK Pro. My husband has thousands of pics on his phone alone, andI probably easily have close to 10 thousand pictures on my computer right now. Easily. I have 18, 000 in one computer so I believe it! No lag on the computer? SOLD! That convinced me! NO LAG! That is a must for me, I have other things to do than to sit and watch my pics get backed up. LOL. You know how it is! Wow, this is such a great alternative to having to download everything to shutterfly! I have about 900 photos on my phone right now! My recent post How Do You Know if Invisalign is Right For You? All you do is plug it in, start backup and you\’re good to go. I'd easily need the PRO version as well – we save every photo! We've lost so many photos due to computer problems. I wish we had this before my computers started crashing. I am with you. I have lost too much to leave it to chance ever again. Definitely, make copies of copies of copies. 😀 Sorry to hear you lost it all. I can feel you, it happened to me too. I would definitely need the largest size to store all of mine. This is great for transferring to a new computer too. Yes!! i need this. I would want the biggest one they make. This is such a great idea!! I would need the PRO. I have a LOT of pictures! The PK Pro would be best! Being a mommy and a blogger, I would have to say the Pro lol! But, winning this would be amazing! I so need this! My hubby keeps telling me I need to back up my photos!!! I'd probably need the 16 at least. Lot's of photos here! The PK 4 that holds 4,000 would work for now! I really need to load all the pictures of my phone onto a picture keeper! So glad I found your review! I'd only need the PK4, but my husband would need the PK Pro. The PK Pro! I am ALWAYS taking pictures! I have one of these. It is handy and makes for a great gift idea. I could definitely use a PK Pro for all our photos! I think the PK 16 would do for now. I love that it will scan for your photos and skip the duplicates! I love the PK 16 but don't actually have that many pictures…yet. I would need the PK Pro to hold all the pictures I currently have on my computer, I have over 15GB of them already! I had no idea lol wow! The PK Pro would be right for us! We have a lot of images. For myself I am thinking for PK 4, for my husband – the biggest one. He loves taking pictures. I have over 26,000 pictures on my computer that I need to save. Thanks for the idea. 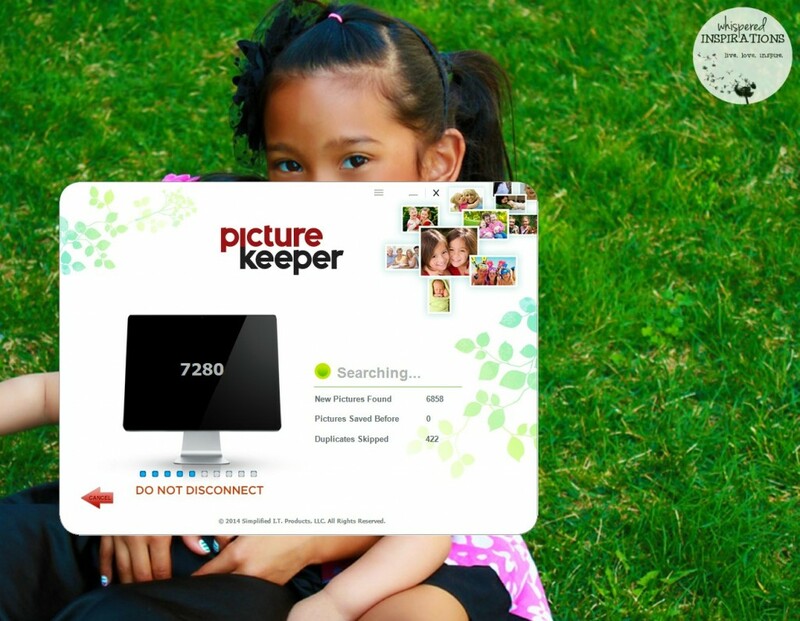 I might check out Picture Keeper. PK16 would probably work for me! The PK Pro for sure!